Kuwait Moms Guide strongly believes in encouraging the bright minds of children to explore their world, to be curious and to educate themselves. To that end, we provide regular ideas and activities both developed by ourselves and curated to encourage children in art, reading, creativity, crafts and other academic and creative pursuits. We also regularly feature stories on shopping, parks and playgrounds, pediatricians, restaurants, healthy food choices, after school activities, schools, preschools and nurseries, beauty salons and spas, birthday parties and supplies, obtaining children's health cards, tips and other useful information on crafting and crochet, jewelry shops, photography, travel and lifestyle. An 110 page print magazine filled with articles and interviews from mothers in Kuwait, shopping guides and a directory of services. Topics covered included making the most of life in Kuwait for your children, teaching children to cook, encouraging emergent readers, teaching babies sign language and homeschooling in Kuwait and much more. Available for opt-in subscribers only, sent via email biweekly and includes news, updates, articles, weekly happenings, interviews and classifieds. A reliable reference source for moms in Kuwait. Includes regular updates on events for moms and kids, news and information as well as a directory of services including nurseries & preschools in Kuwait, parks & playgrounds, after school programs for kids, spas and salons, yoga for moms, ballet classes, bookstores and libraries, tips on hiring a maid, places to buy musical instruments, favorite salons & spas, where to find baby slings, clothes and much more. With more than 5,500 followers, @kuwaitmomsguide focuses on providing very active source of information for moms in Kuwait including events, activities for moms and kids, educational resources, inspiring quotes and excerpts from interviews as well as advice and discussion. With almost 5,000 fans, Kuwait Moms Guide FB (www.facebook.com/kuwaitmomsguide) focuses on providing very active source of information for moms in Kuwait including events, activities for moms and kids, educational resources, inspiring quotes and excerpts from interviews as well as advice, classifieds, curated content and discussion. 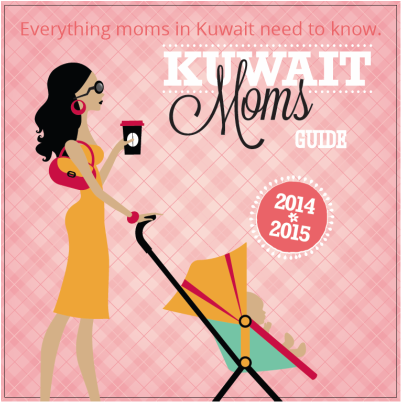 Sign up today for Kuwait Moms Guide. We will never spam, sell or share your email.